Since the enactment of Electricity Act 2003, power trading has become a major activity in India. The electricity market has enabled purchases, through bids to buy; sales, through offers to sell; and short-term trades of power. The Electricity Act enabled this sale-purchase power in the short run through online bidding in the Power Exchanges.Taking this a step further and encouraging the “Make in India” drive in the country, Mittals Group has come up with an innovative idea of providing app solution to the power market through its recently launched app Power Trading Solutions (PTS). The app was recently unveiled by Mr. S.K. Chaturvedi, Chairman, Joint Electricity Regulatory Commission (JERC) for the Union Territories (UT) and the State of GOA along with Mr. Kulbhusan Mittal, Managing Director, Mittals Group and leading people from IPP(Independent Power Producers), Discoms, RE Generators & Industrial clients. For intraday contingency market, the app would be very effective for the stakeholders to utilize the cheaper power options available on power exchanges, he added. With enhanced security for bidding information and safety from data loss due to viruses, on the move access through mobile phones and decreased operational cost of bidding, PTS app will empower open access market on exchanges. The company plans to add more features like Intimation of Real Time curtailment of Short Term Open Access (Bilateral and/or Collective), On-line submission & processing of No Objection Certificate (NOC), incorporating various products of TAM (Intra Day, Day Ahead DA, Contingency Contracts, Daily & Weekly Contracts) & REC trade in new app. The app has opened new windows for opportunity in the power market. 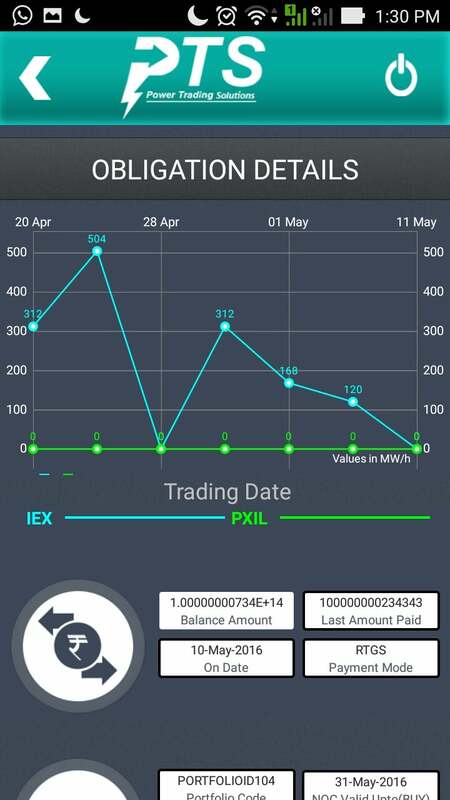 Where one could only find two such exchanges operating in India, namely Indian Energy Exchange (IEX) and Power Exchange India Limited (PXIL), with Pts, the market will become more open for sale and purchase of power based on individual requirements with an option to select one’s own source.